Today I wanted to share with you all how I was able to get FREE containers for starting seeds indoors. 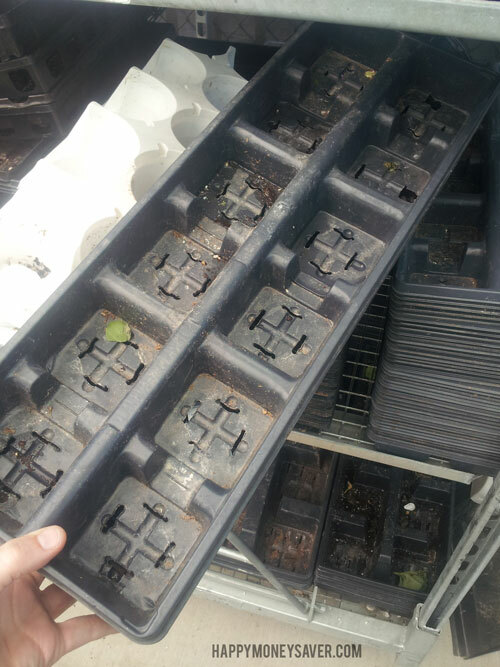 Last year I wanted a free container for planting my seedlings, so I tried the egg carton method. It worked okay, but I had a hard time getting them out of the containers, and when I watered them it was kind of a messy ordeal. I also purchased a seed starter kit from Walmart last year for around $5.00 and that worked fine. However this year I wanted something that I didn’t have to pay for, but was strong enough to hold my plants. So I went on down to Lowes to check out what they had available for containers & seeds. While I was wandering around the store I noticed this cart full of empty planters and pots. They were in the gardening section and they were full of plastic containers they were going to recycle. So I asked an associate if I could have a few of these empty plastic containers for myself and she said “Sure!” She said quite a few people ask her for them and that they are happy to give them away to people that are going to use them. 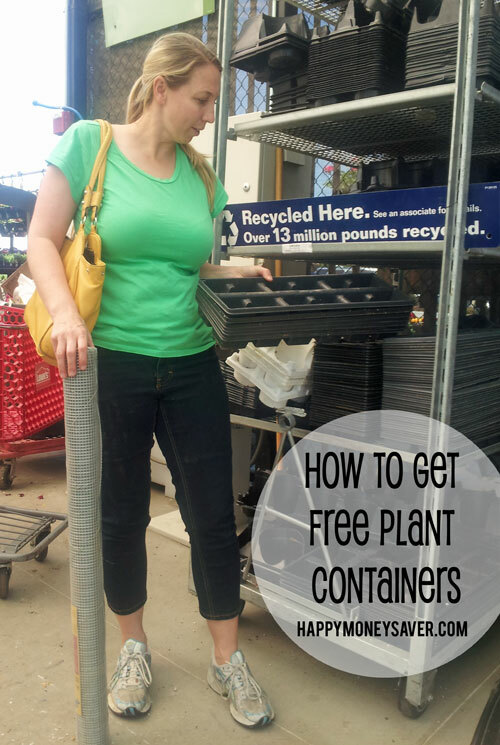 I was so excited – FREE CONTAINERS!!! Wooo hooo! The ones I found were sturdy and deeper than the ones I would have paid money for at the stores. Plus I was able to find some long flat plastic ones to place underneath the potting ones them so that they won’t drip all over my counters when I water them. When I got home I added potting soil to these free containers and added my seeds. Then watered and placed in a sunny window. Here is how they are looking now – a few sections are just now starting to grow even after 10 days. 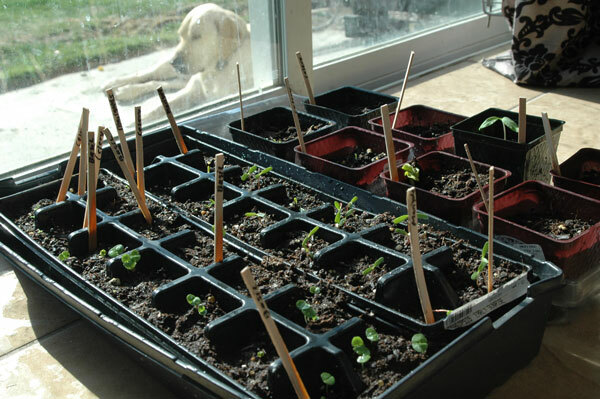 The ones I am doing by seed indoors this year are 3 giant pumpkins, one tomato plant, lots of marigolds, 6 celery and 8 basil. 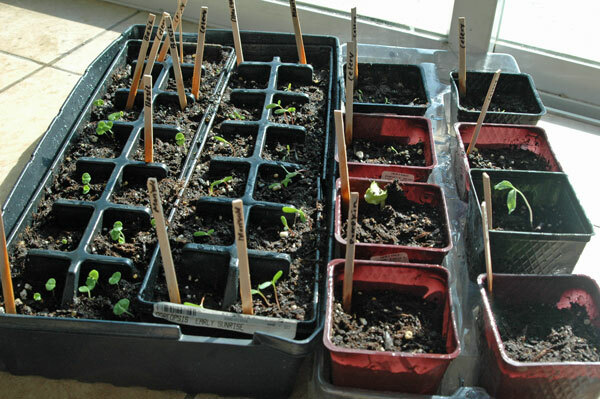 Many of the other seeds I have planted directly into my garden, which by the way is starting to green up nicely! 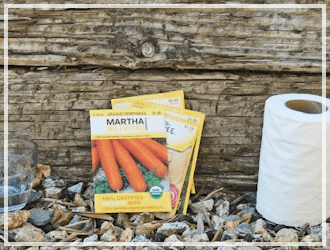 Have you been able to get free containers at Lowes or Home Depot before too? Any other places to get free containers you know of? 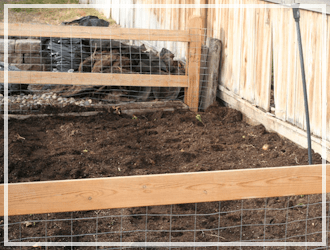 If you are going to use the carton method , buy the cardboard egg cartons to begin with and they will come apart in the soil with each watering and or rain . 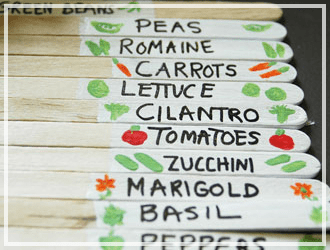 As a Garden Center owner I would suggest that you get your OK from a Manager. 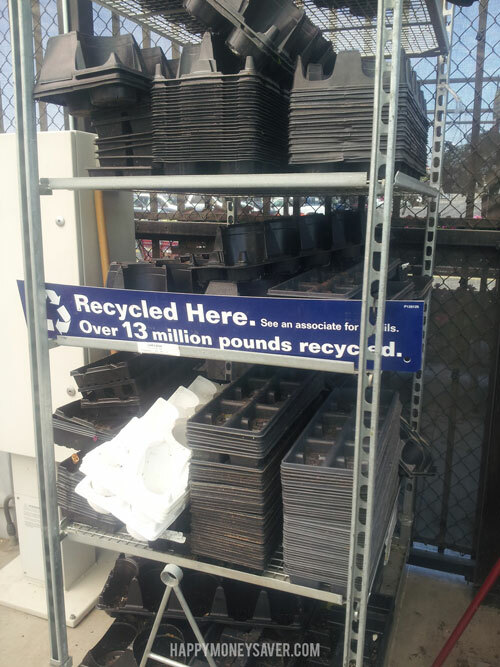 These trays are pricey for us to buy that is why we ask people to recycle them (a not just throw them away). We have to wash and disinfect them to make sure no “bugs” were brought back to us before we reuse them. But it is still cheaper than buying new ones. Recycling them helps us to keep our plant prices low. I say “ask a Manager” because the associates are the ones usually stuck having to wash and disinfect them so they are ALWAYS willing to give them away. That means less work for them to do. The boss might not know they are doing that. And of course it is not the associates wallet that has to be opened buy new ones. Great idea! I never thought to look in Lowe’s for these recycled planters. I made a 5 gallon bucket garden this year using recycled soy sauce buckets which I got from local Chinese Food Restaurants. The restaurants were happy to give them away. 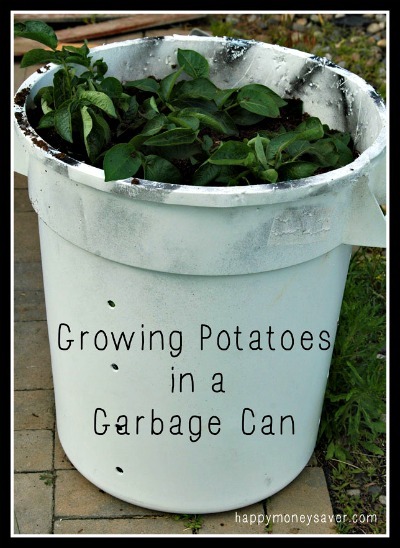 Great idea on using the soy sauce buckets! Great idea. I’d get the flat ones for drip trays and keep using the egg cartons. All you do for planting from them is poke a hole in the bottom, cut the individual pockets away from the carton and plant the whole thing in the bed. Don’t remove the plant from the carton before planting. 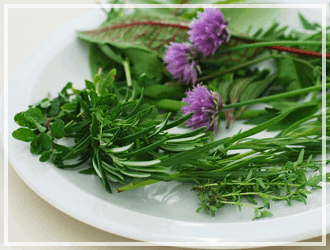 What did you use to sterilize the containers so as to not contaminate your new plants? 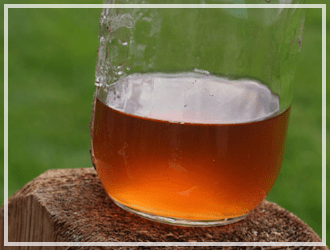 You may want to sterilize the containers with a 10% bleach solution, I soak mine for an hour or so, but even rinsing will help deter any microbes that could be harmful to your seedlings. I just discovered your awesome stuff ! !Someone at my church introduced me .I just wanted to say , “Thank You” so much .Already you have made my life easier! Often nurseries have them out by there dumpster and usually let people take them. One thing about getting used ones is that you would want to clean them well (maybe bleach solution) because there is no guarantee that they didn’t contain diseased plants. I followed your link from Pinterest too! Thanks for the great tip. I have been scouring thrift stores for inexpensive containers and its starting to look a little crazy at my house. 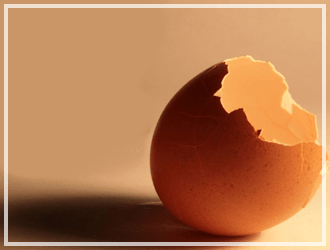 The egg carton method worked well for my husband and me. We used a pocket knife to free each egg round and planted each round individually. I also experimented with taking the basil out from each round. I just used a spoon to take it out of the egg carton round. This is awesome! Found my way here through Pinterest 😀 Just wondering…what time of year did you go and find these? We’re in the process of preparing for starting seeds indoors this year (February here in central Virginia) but I wasn’t sure when you went or if you knew a good time to go. I’m ALL about the free stuff! Haha. The soda crates belong to the company thats name is on them and they pick them up when they make their next delivery. They are not the stores and the employee dosn’t have the authority to be giving them away. Hey from down here in Ft Worth! With the crazy weather we always have…..i found that at gas stations they have the large plastic soda crates for pepsi/coke etc. that they just toss out back until they can throw them away or the distributor comes to get them. ( i asked one of the owners and he said to take them all, as well as any time i saw some out there but there were about 20 and i only needed 5 lol) they work perfect for putting starter trays in and even pots so you can stack them if limited on space or easily move them if the weather is bad….they are all sizes which is amazing and some even have handles in the middle! I found a great website that had a way to make them look even better and multipurpose. Good luck with your gardening! Also check at Lowes after crazy weather, they almost always have great plants on clearance that just need a little TLC, many of them are cheaper than buying them as seeds! Yes, it’s the Pasco, WA location I went to, but I have heard that all Lowes and Home Depot have these recycling carts. Good luck!